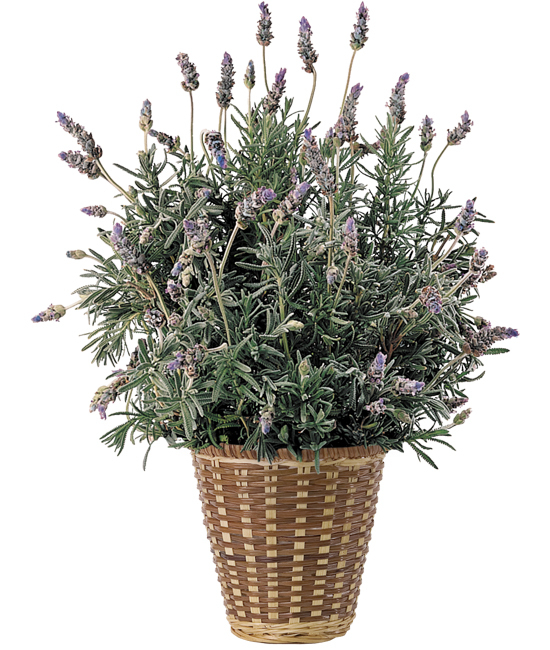 Known for its pretty nature, warm color, and relaxing benefits, lavender is a plant you can’t help but adore. Our fragrant French lavender plant blooms abundantly again and again, beautifully contrasted in our orange monarch ceramic cachepot. To encourage flower growth, prune the tips of the branches occasionally. You may wish to feed the plant during the spring and summer months with a blooming houseplant food, at ½ the recommended strength. Lavender may be enjoyed indoors or planted outdoors after danger of frost is past.